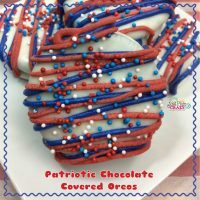 As if Oreo cookies were not awesome enough on their own – we kicked it up a notch by covering them in a layer of chocolate and adding patriotic inspired accents that make them perfect for those summer parties. 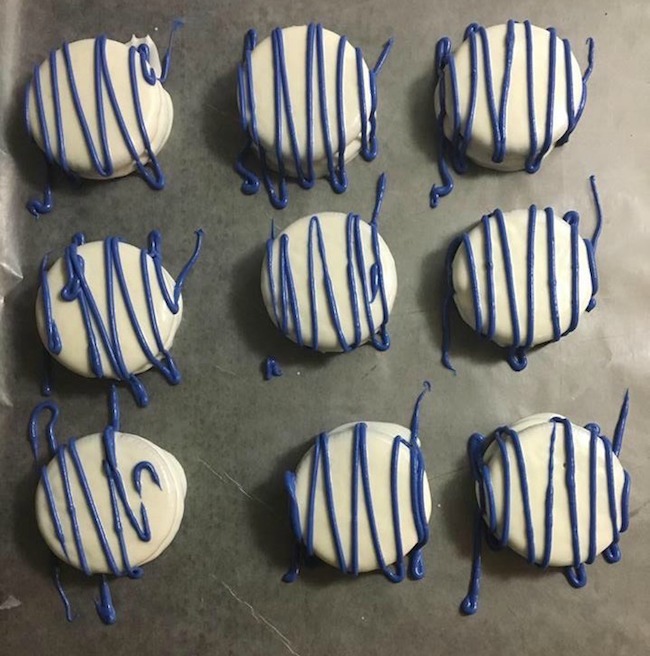 These chocolate covered Oreo cookies are pretty easy to make – you will need a little patience to create the design, but we think that patience pays off. This recipe can be changed for any holiday too! 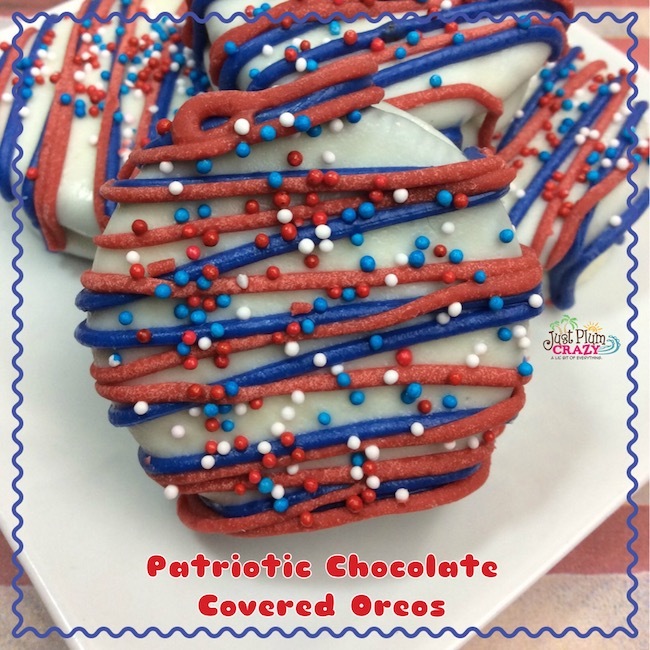 Use red and green for Christmas, yellow and blue for Easter – whatever holiday you are celebrating, these chocolate covered Oreo cookies are sure to be a hit. -Fill the bottom of the double boiler half way with water. 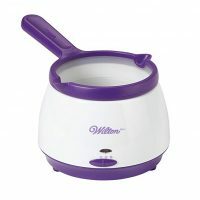 -Place it on the stove at medium to high heat and wait for it to boil. -Place the second pot on top of the bottom pot. -Pour in the bag of the white chocolate into the top pot. -Using a rubber spatula, mix until the chocolate is melted. -Dip an Oreo into the chocolate. -Using a fork, coat the Oreo in the chocolate until fully coated and use the fork to lift the Oreo out of the chocolate. -Lightly tap the edge of the pot so that the extra chocolate can drip off. -Place Oreo onto the cookie sheet. -Repeat steps with the remaining Oreo’s until all of the chocolate is used. -Let the Oreo’s set for 10 minutes before decorating. 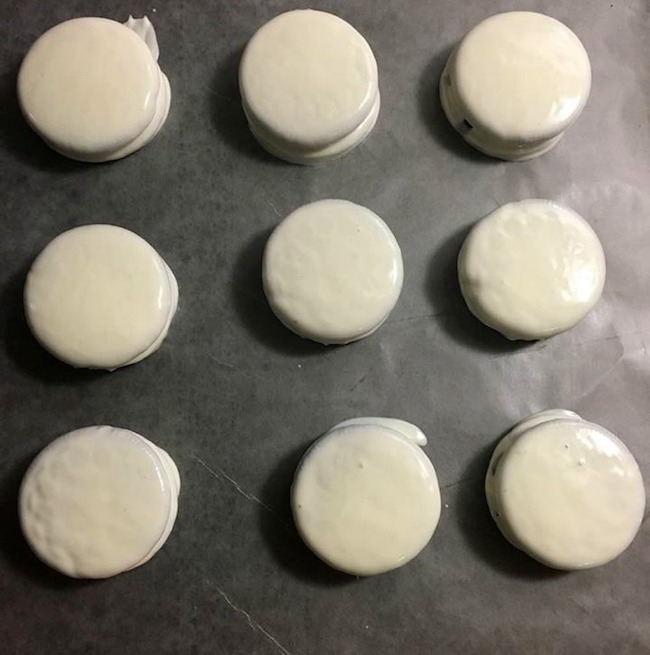 -Take the blue icing and drizzle over the Oreo’s. -Take the red icing and drizzle over the Oreo’s. 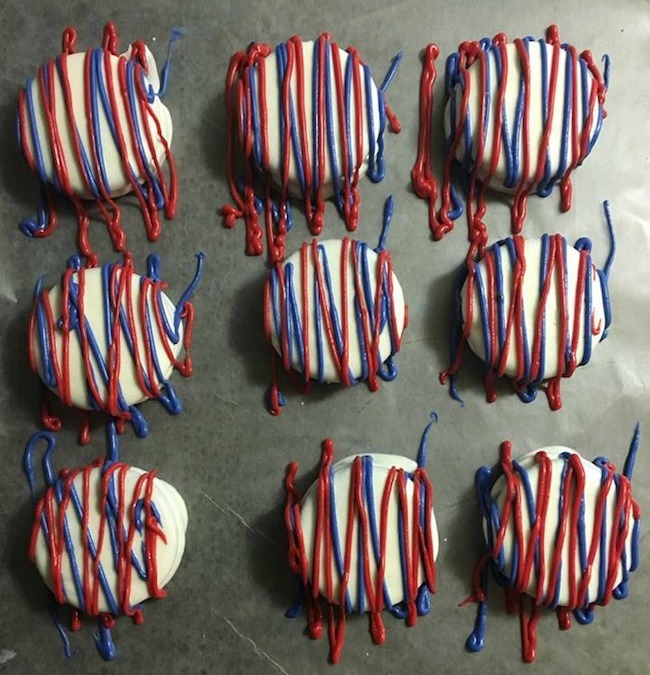 -Sprinkle a tiny amount of the patriotic sprinkles on to the Oreo’s. -Let sit for another 10-15 minutes before enjoying! 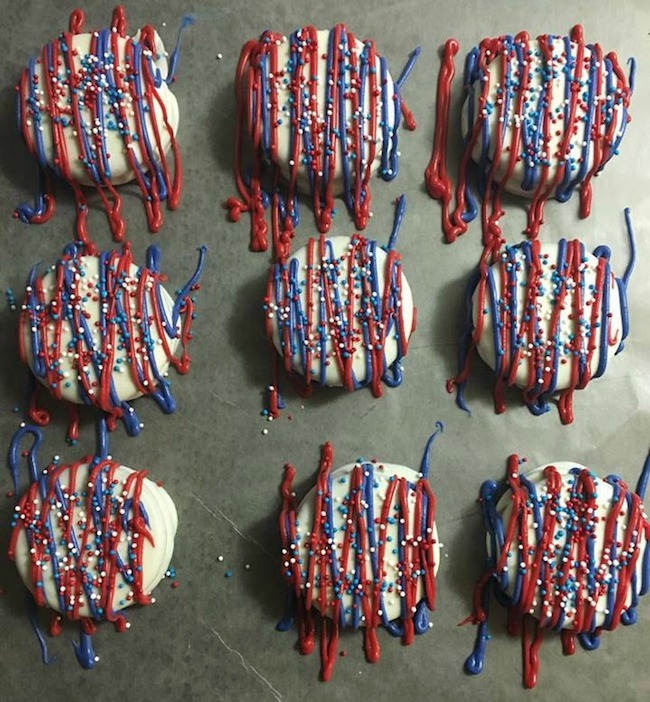 Delicious and patriotic chocolate covered Oreo cookies.